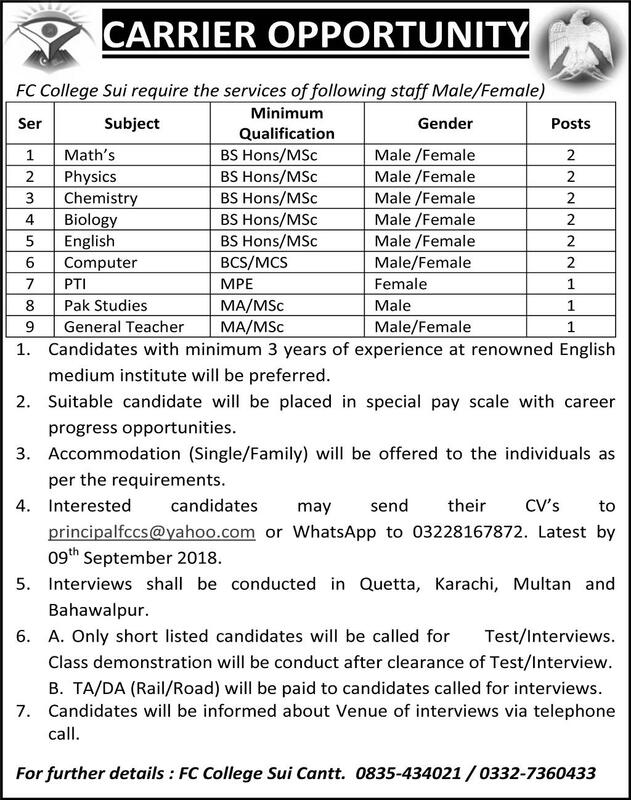 FC College Jobs 2018 is announced on today newspaper. FC College Jobs 2018 (FC College Vacancies 2018). FC College is one of the best colleges in the Pakistan. The advertisement for FC College Jobs 2018 is give below. 4. Interested candidates may send their CV's to principalfccs@yahoo.com or WhatsApp to 03228167872. Latest by 09th September 2018.